MANILA, Philippines – The Ateneo De Manila University Blue Eagles almost stunned the defending Jones Cup Champions with a great run in the 2nd half but the Canadians showed finesse and experience to thwart Philippines’ attempt to upset them, 86-78 on July 17, 2018 at the Xinzhuang Gymnasium in New Taipei City. In terms of international exposures, the Philippines’ representative at the Jones Cup, the ADMU Blue Eagles clearly don’t have that much and it manifested during their game against South Korea on Monday as well as today versus Canada. The Filipinos had the height disadvantage in this game. The taller Canadians capitalized well on their size offensively and defensively. 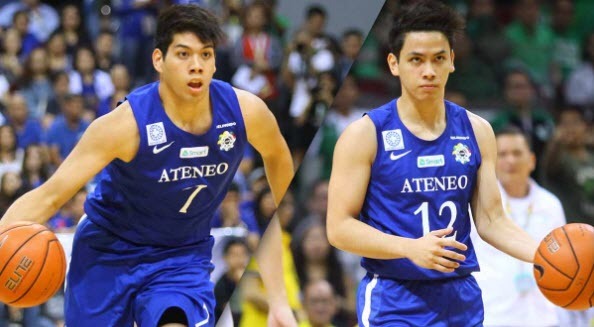 Their long arms served as huge obstructions for the Blue Eagles that prompted them to take their shots from long distance. Unfortunately, the three point attempts were not going in for Philippines during the 1st half at least. Speaking of three point shooting, the Canadians were just as good as the South Koreans in this aspect. In just a single quarter, team Canada had already sank 7 triples or 21 points and apparently the same points of its lead over Philippines in the early phase of the ballgame. Unbelievably, Canada had only 9 players on its lineup and the game officials informed its coaching staff that one of its players, Mamadou Gueye won’t be playing in this game due to documentation issues. Down to 8 players in rotation, Canada still overpowered Philippines in all angles of the floor. Even though behind by huge numbers, Ateneo players led by Thirdy Ravena were trying their very best to give their opponents and the fans a very good and exciting game. Team Canada had done a great job on scouting the Blue Eagles. Angelo Kouame who played well previously was tightly contained. The lockdown on Kouame became a blessing in disguise as the guards like Matt Nieto and Adrian Wong stepped-up their games and provided some significant numbers to their team. The Canadians started to rattle as the Filipinos fought back and gave them a dose of their own medicine: three point shots. Canada’s once 24-point lead was drastically reduced to just 6 as the Ateneo guards spearheaded by Matt and MIke Nieto rained three pointers on the taller Canadians. The dying moments of the game became too intense for both squads. Canada was obviously shook and felt blindsided by Ateneo’s gallant scoring run. Nevertheless, the Canadians still got the win as the Blue Eagles fell short, 86-78. Philippines moved down of the standings and currently at the 5th place with a 1-2 record while the defending champions, Team Canada is still sitting on top of the ladder with a clean 3-0 slate. Ateneo-Philippines will be facing Team Japan next, on Wednesday, July 18, 2018 at 5 PM.